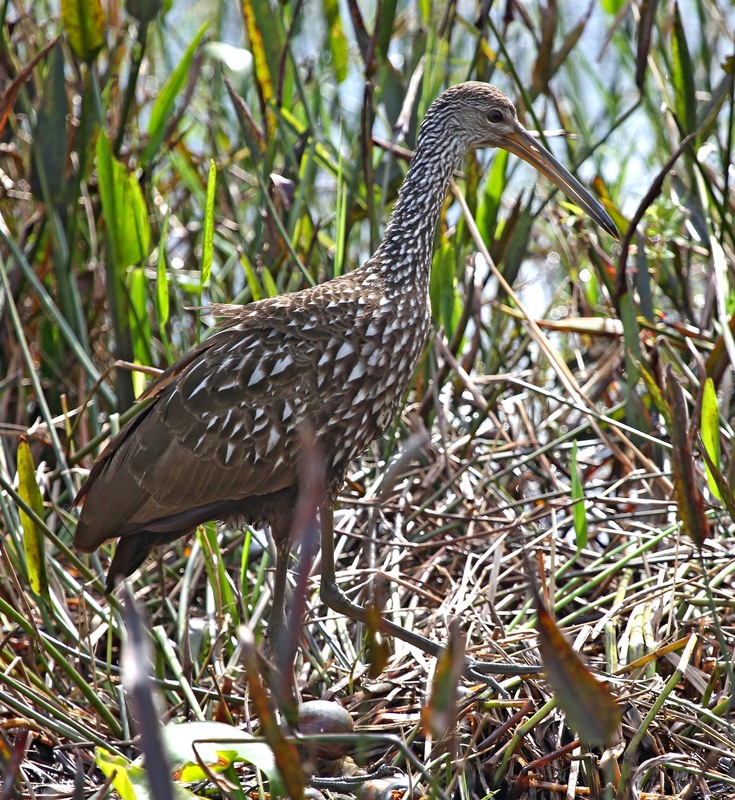 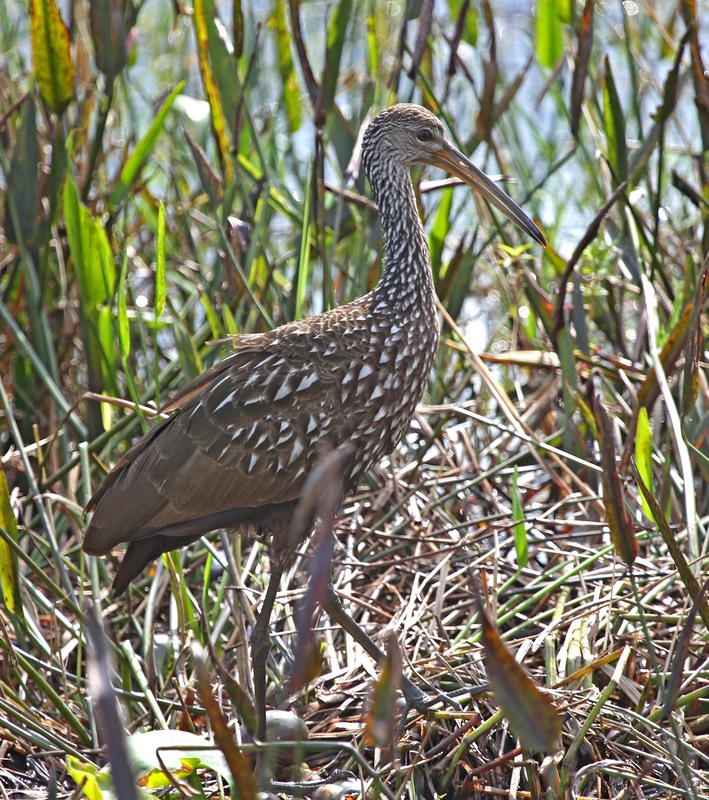 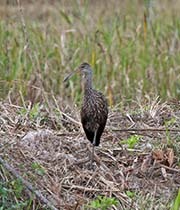 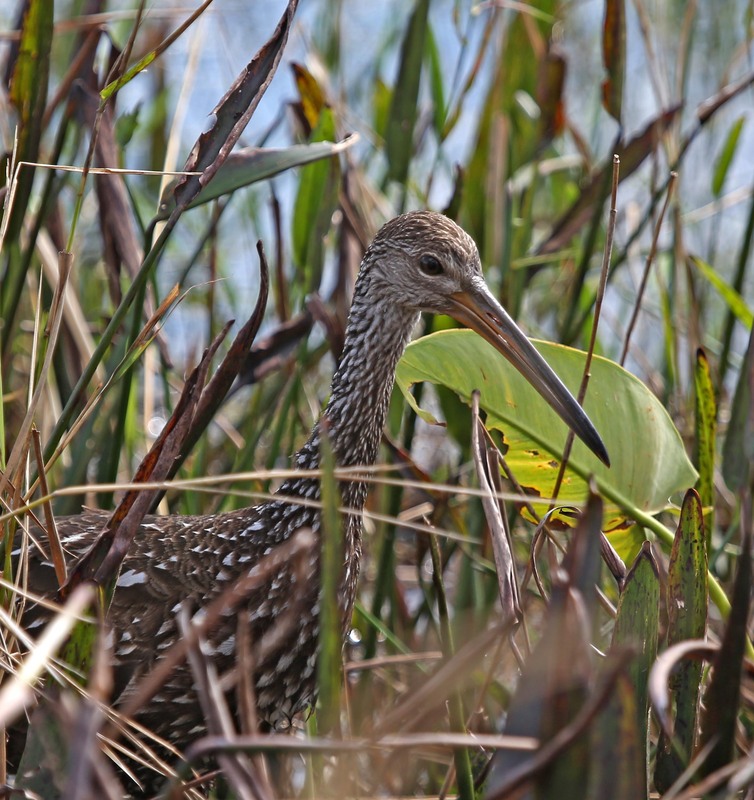 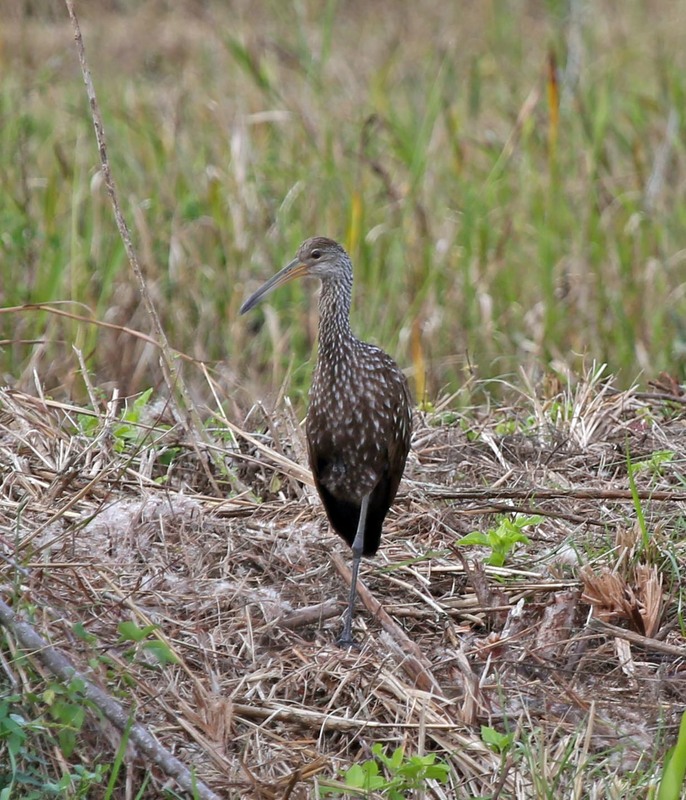 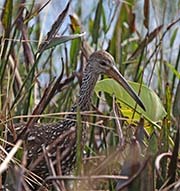 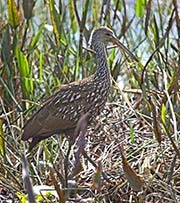 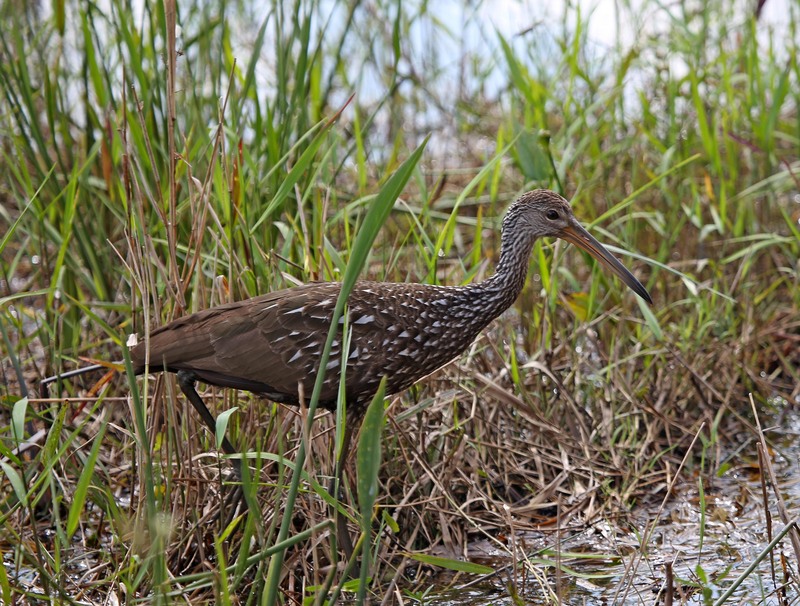 The Limpkin is mostly found in South America, but populations occur in southeast Mexico to Panama, Puerto Rico, Cuba, Jamaica, and Florida. 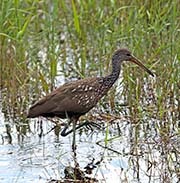 They feed primarily on apple snails, but will also eat other aquatic snails and mussels. 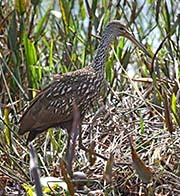 Additionally, they will eat land snails, lizards and a variety of other small prey.